Of all the ways to help combat climate change, this is definitely one of the most unique (if also a bit smelly). On Monday, March 11, Toronto MP Gary Anandasangaree announced that the government would be investing up to $2.7 million into a project that takes animal waste from the Toronto Zoo and turns it into agricultural fertilizer. The project is run by the ZooShare Biogas Co-operative, and funding will go towards helping Zooshare add new digester technology to its existing biogas plant in Toronto. “Canadians across the country are coming up with innovative and affordable solutions to increase energy efficiency and reduce emissions, saving people money and creating good jobs along the way,” Anandasangaree said. The project’s aim is to divert waste from landfills, turning it instead into a commercially viable commodity and reducing carbon pollution. 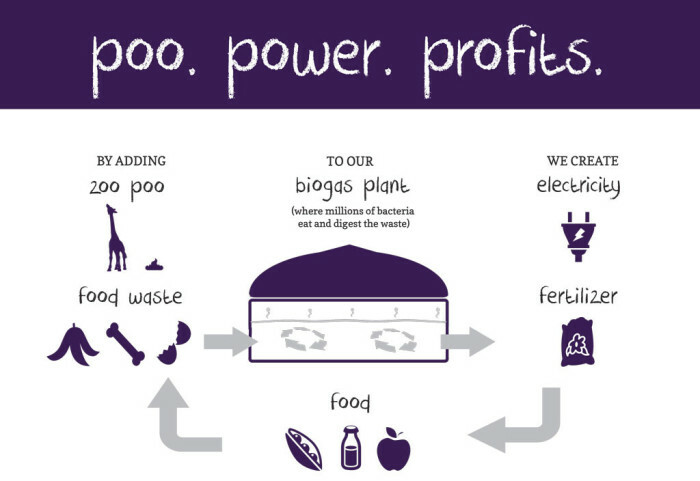 Zooshare’s mission statement is to grow the biogas industry across North America, teaching others about the value of waste and the importance of conservation in the process. Funding comes from the federal government’s Low Carbon Economy Fund (an important part of Canada’s climate plan) and will also help ZooShare install new self-cleaning digester technology that separates organic material and contaminants like plastics. “Canada’s climate plan puts Canada on track for the biggest reduction in carbon emissions in our country’s history,” the government release reads. More information about the project can be found at the Toronto Zoo’s website. What do you think about the government’s decision to fund this?